Auto engineering technology has advanced enormously over the years, but these great advances have also introduced some potential vulnerabilities. Your vehicle’s transmission is one of its most critical elements, and modern designs are now sophisticated systems made up of hundreds of electronic and hydraulic components which all need to be working in harmony if your vehicle is to function efficiently and safely. You should in any case have your vehicle looked over if its oil filter has not been replaced in the last 15,000 miles. Adam Lightfield and his team of expert technicians at Wizard Transmission have been serving vehicle owners in the Denver area since 1994, amassing more than 50 years combined experience in repairing and rebuilding both manual and automatic transmission systems. During this time Wizard has fixed or rebuilt transmissions for a huge variety of foreign and domestic cars, trucks and SUVs, over-sized and heavy vehicles such as RVs and motorhomes. In addition, high performance cars are a particular specialty. 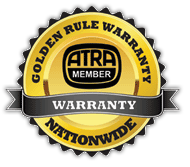 Our technicians are certified by ATRA. The ATRA certification is more intense and extensive than other certifications, bringing a higher level of quality, confidence and knowledge to servicing your vehicle. Wizard now provides its comprehensive range of transmission services from a spacious 2 building, 5 bay, shop which features a 30,000 lb lifting facility for dealing with RVs and motorhomes etc. We can fix all elements of your vehicle’s transmission, such as clutches, CV joints and axles, differentials and drive axles. Over-heating and loss of lubrication are two of the main underlying causes of transmission problems and all our work is designed to improve the performance of your system in these areas, thereby ensuring its maximum longevity. Complete rebuilds using only original equipment manufacturer parts. Repair and upgrade of damaged systems including the fitting of updated parts as necessary. Complete flushing and cleaning of the transmission’s cooling system – one of the notorious weak spots in many designs. Complete or partial rebuilds installing all necessary shafts, gears, forks and gaskets. Rebuilds include synchronizer, small parts and bearings kits. Updated new parts used as required. For towing vehicles we can also install auxiliary cooling to improve performance and increase system longevity. If you think your vehicle may be suffering from a transmission problem, you can bring it in today for a FREE 27 point inspection and diagnostic scan. Wizard Transmissions has been Better Business Bureau (BBB) – click here to see certified since 1994, and any rebuild we perform will be covered by our 3 year or 36,000 mile Warranty. We’ll also carry out a free annual service for as long as you remain the owner of the vehicle. Free towing is available in most cases within the Denver Metro area, and for a competitive or reduced rate from outside the city.